This is possibly the best thing I've ever eaten! 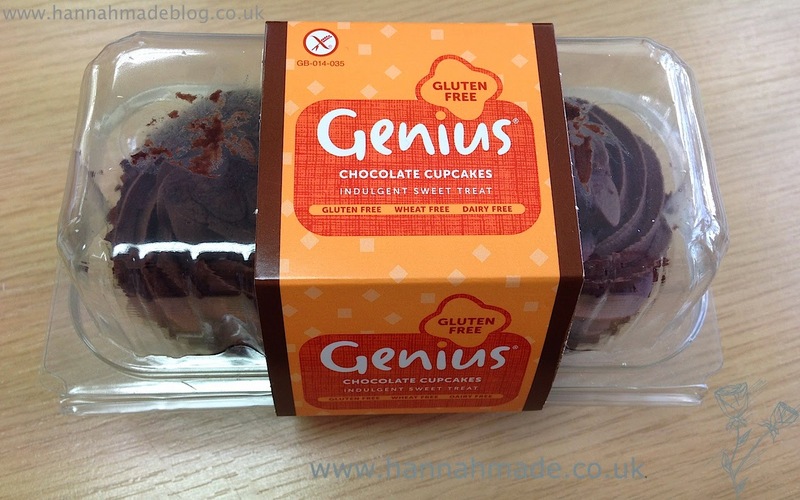 I feel Genius are on a roll and these are definitely the BEST cupcakes I've ever eaten! I don't know what to say about these cupcakes other than, imagine picking up a 'regular' cupcake in a shop and thats it! But there is no gluten and no dairy! The icing uses palm oil and this gives it a lovely thick decadent texture and the use of cocoa powder over 'fake' flavourings allows a rich chocolate taste. The cupcakes use mainly rice flour by the look of the ingredients but the texture of the cupcake is soft and fluffy, and there is not tangy aftertaste which I find in many other cakes I've tried! I honestly cannot believe how genuine they taste! The cake mixture tastes like a regular cupcake, which I used to love! They are suitable for dairy sufferers too. They can be hard to find in shops, luckily I live near a large Sainsburys, Tesco, Waitrose, ASDA and Morrisons so I can find most things. They do contain egg so not suitable if you are allergic to egg, but they have to be made with something!